In 2017, the exhibition attracted approximately 10.000 single entry professional visitors and featured approximately 300 exhibitors from 33 countries. One of the most important gateways to the huge Eurasian market, BeautyEurasia offers exhibitors a fantastic export opportunity for the Turkish and Eurasian markets. Manufacturers and exporters targeting the region can establish business contacts and partnerships. The exhibition hosts a large number of cosmetics chains, wholesalers and retailers from Africa, the Middle East, Central Asia and the Far East. At the retail center area of Beauty Eurasia 2018, local and international super market chains will meet with the exhibitors to conduct new businesses and new business opportunities. 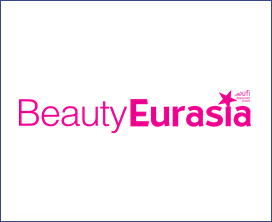 In addition to the hosted buyer program of Ministry of Economy, VIP hosted buyers from Middle East, CIS ( Kazakhistan, Kyrgystan, Uzbekistan, Tajikistan, Azerbaijan, Turkmenistan, Ukraine, Belarus, Russia, Moldova) , Europe, Latin America regions will be at Beauty Eurasia 2018 for the first time this year to meet with the exhibitors.